The Timpir Movie Night is on again! Join us for a special showing of “Independence Day: Resurgence”. See the trailer and check out the flyer. Where: Regal Theatre, 275 Kensington Rd, Kensington Park. 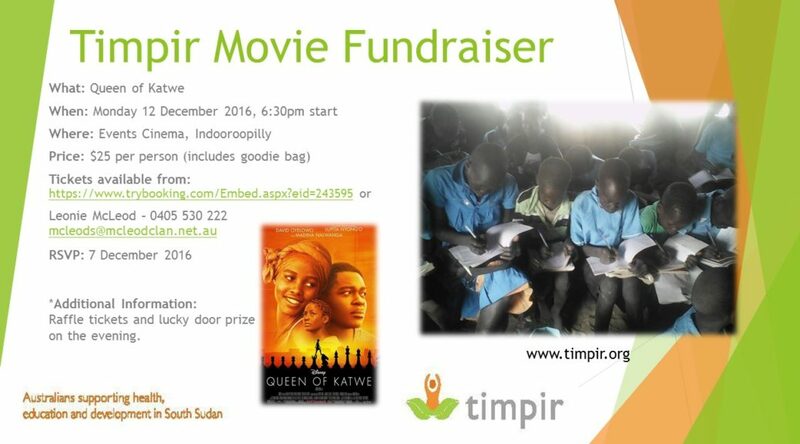 Timpir’s annual quiz night raising money to support our two schools and over 800 students in South Sudan is on again in 2016. Join our quizmaster Peter Cassidy for a fun and possibly even educational evening! When: Saturday 15th October 2016 at 7:00pm. Tickets are $15 per person, tables of 10. Small groups welcome — we will have plenty of half-full tables you can join with. Tea and coffee will be available. BYO food and drinks. Contact us via this page or call 0422 816 840 to book a table. 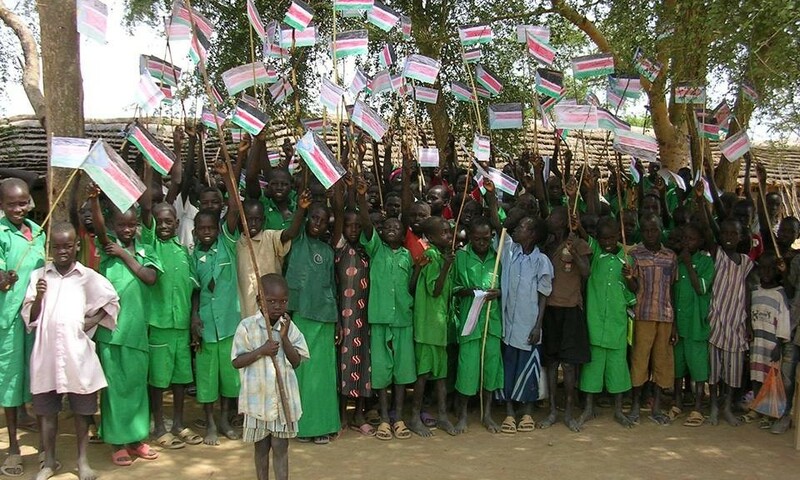 Timpir’s annual quiz night raising money to support our two schools and over 800 students in South Sudan is on again! Join our quizmaster Peter Cassidy for a fun and possibly even educational evening! When: Saturday 17th October at 7:00pm. Tickets are $15 per person, tables of 10. Small groups welcome — we have plenty of half-full tables you can join with. We would love you to help us celebrate at our Quiz Night, along with our very special guests all the way from South Sudan, Baak Kuol and Abuk Atak. You will get to hear first-hand from them how your support helps our schools. Baak and Abuk are the parents of Kuol Baak, our Waramoth School Project Director. This is the fourth time that Kuol has seen his parents since he was taken from his village at the age of twelve, it was 20 years later that he saw them for the first time. Contact us via this site or call 0422 816 840 to book a table. Timpir held its annual quiz night this year on Saturday 18th October at Blackfriars Priory School, Prospect. We had over 100 people attend for the evening as well as the Mayor of Prospect, Mr David O’Loughlin who promoted the work of Timpir. Thank you to all of the members and supporters of Timpir, as well as the board members, who assisted in organizing the quiz night and a special thanks to all who attended and donated. Over $3,500.00 was raised on the night, which is equivalent of two teacher salaries for twelve months. A great evening’s entertainment and enjoyed by all. The Timpir AGM will be held on Sunday December 21st, 7.30pm at 14 Kintore Ave Prospect. You are warmly invited to join the board members for end of year drinks and nibbles and to hear about Timpir’s achievements over the past 12 months. In addition, if you are interested in becoming a member of the Timpir board (even if you are located interstate) please contact me for more information or to express your interest. so keep that date free! See the Quiz Night 2014 flyer. Peter says the questions will definitely be easier this year! On the 7th February we held our first event for the year: the movie event “Mandela: Long Walk to Freedom”, at the Regal Cinema (formerly the Chelsea). The charity showing was the opening night of the film. The event was an outstanding success with over a hundred people enjoying the film. 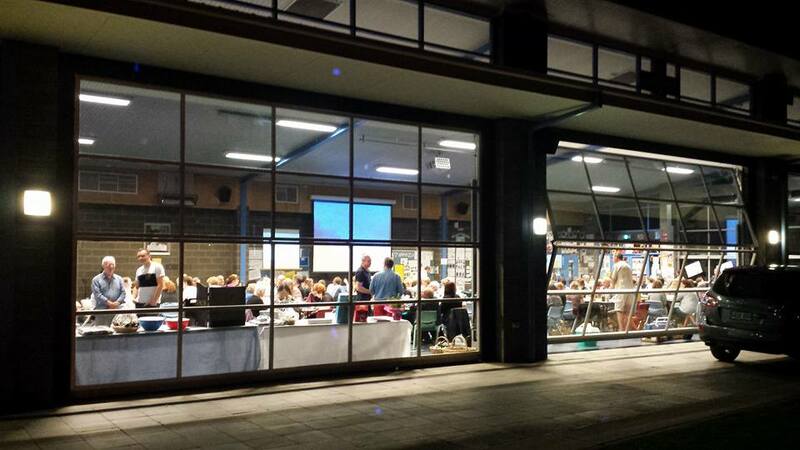 Timpir held its annual quiz night on Saturday, 31st August and it was a great success! We raised over $3800 to futher the work of Timpir.